Mid-summer days are generally uneventful in our hometown. As was our custom, George and I would sit, side by side, on the puffy dusty-rose couch in our family room and watch the evening news with my parents. At the risk of getting ahead of my story I’m going to tell you what my father’s latest acquisition was. 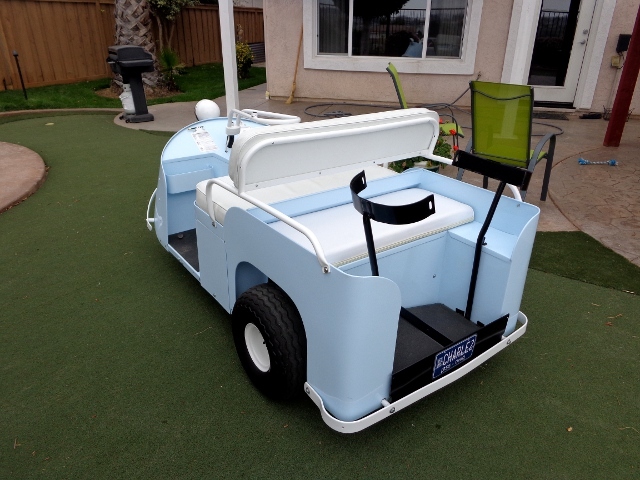 He bought, what everyone should own, a brand new 1955 Cushman golf cart. All of his life my father was intrigued by anything on wheels. Having a quirky sense of humor mother often joked, “If God knew I planned to marry Charlie Elster he would have given me a pair of wheels instead of these shapely legs.” They were a delightful couple. Charlie’s love affair with cars began during his teenage years. The pastor of his church selected my father to chauffeur him in his fashionable Stutz Bearcat and if he wasn’t driving the priest on his house calls you could find him tinkering with the cars mechanical parts. Fortunately, over the years, that learning experience served him well. Along with finishing high school and the advent of WWI Charlie joined the military and was thrilled to serve his country in the motorcycle core. 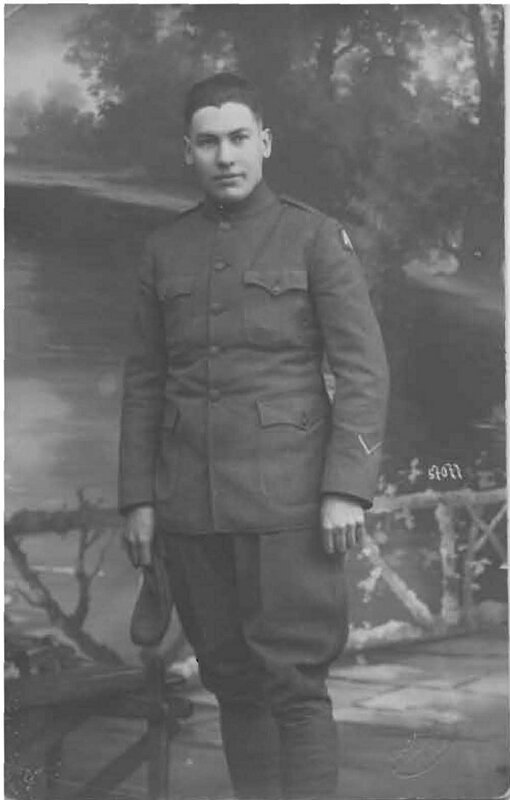 After a year of active duty in the Meuse-Argonne offensive he was honorably discharged from the army. He then returned home to Michigan where he decided to search for greener pasteurs and chose a vibrant Ohio. In the beginning of his career the main thing he did, on his path to immortality, was to bring the first auto wash to Cleveland and from there he leased parking garages in upscale hotels such as the Auditorium and the Wade Park Manor. Later he leased parking lots in downtown Cleveland and eventually purchased properties in Cleveland’s business district. Pretty soon, we knew my father had risen to the top when the Cleveland newspapers referred to him as Charlie Elster the “Parking Lot Magnate”. But I do understand none of this is comparable to being the owner of American Ship Building. Still, I can’t tell you how proud I am to be the daughter of this self-made man. In my eyes, he will always be a Prince among men. Please excuse me for digressing but at the ripe old age of 78 I sometimes find it’s more comfortable to dwell in the past. So, without further adieu, on with the story. 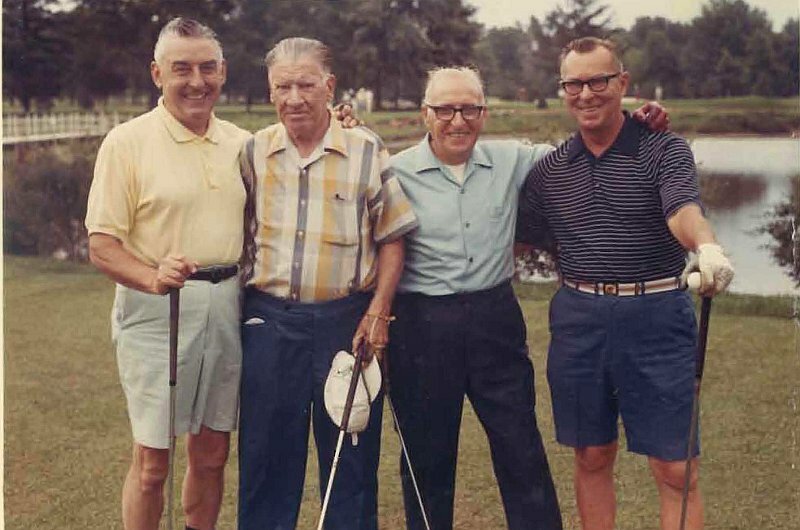 When George and Charlie pulled into Lakewood Country Club’s parking lot that evening my father was driving his dream car – a pitch black Chrysler New Yorker. Then, rather than going directly to a small barn behind the first hole where the golf cart was housed they made a detour at the men’s locker room. The reason being my father wanted to introduce his daughter’s friend to three of his special golfing buddies. Following some serious hand shaking George, Charlie and his three buddies sat at a table in the middle of the locker room and ordered, to say the least, a few rounds of scotch and water. Then along with each round they thought it was great fun to order a Shirley Temple for an under age George. At last, night had fallen and the four merry men, plus George, could be seen in the lime green golf cart zigzagging across the manicured fairways with Charlie at the helm. Now, it’s time to stop and ask the reader if they know why it was in God’s divine plan to put a boulder right in front of the golf cart. 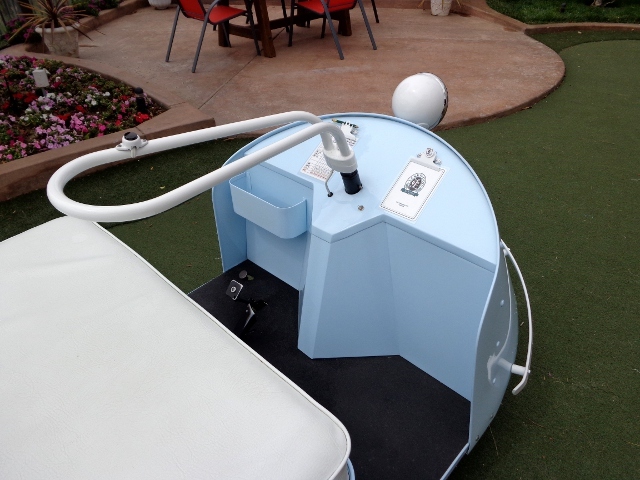 Certainly it wasn’t Charlie’s fault when he rammed into it and the golf cart tipped over causing all its passengers, even George, to spill into the sand trap on the 18th hole. What a sight these four captains of industry were, and George, as they stood in a foot of sand warning each other not to tell a soul what had just happened. Then, in the blink on an eye three of them shot a fearsome look at Bill Van Roy of Van Roy Coffee fame and someone said, “Whatever you do, Bill, don’t spill the beans,” and they all roared with laughter except for George. Finally, the exhausted Doughboys and George, with my father steering, pushed his latest acquisition into the barn and went home. Around 1:00 am George and my father were back in our house on Upland road and realizing Charlie’s condition mother had busied herself putting him to bed. This allowed a bedraggled George a little privacy in order to show me the injury he sustained on that fateful night. Just above his ankle was a giant purple goose egg and, if you can imagine, I was speechless. The next day I heard, through the grapevine, that George’s bump was shrinking and all of Bay Village was happy to learn his hopes for someday winning Olympic gold hadn’t been crushed. That evening, as was our custom, George and I were back sitting on the puffy dusty-rose couch in our family room watching the news with my parents. And the Legend lives on. 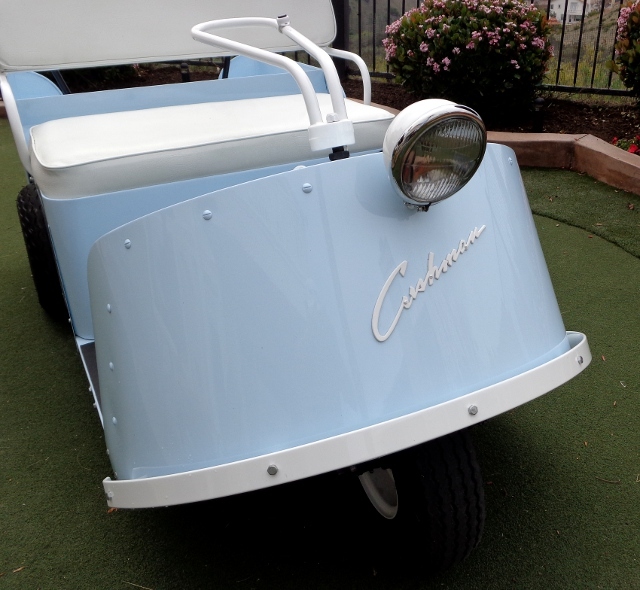 post script – 1955 was the first year of the Cushman golf cart (also knows as the Golfster). 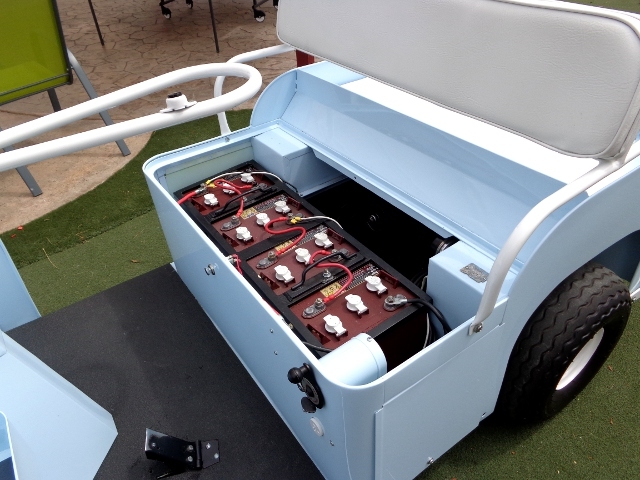 The distinctive front and rear bumpers, all steel body and three wheel design gave it a classic look. Only a couple of the first year model still exist today. 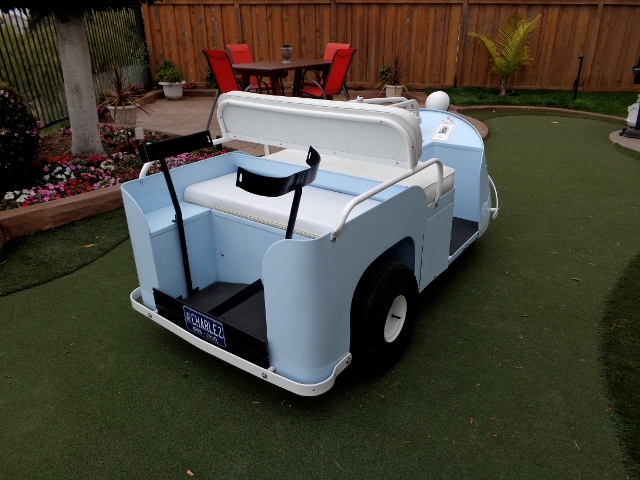 For Cushman enthusiasts this is the Cushman Golfster, model 732 production unit #19. 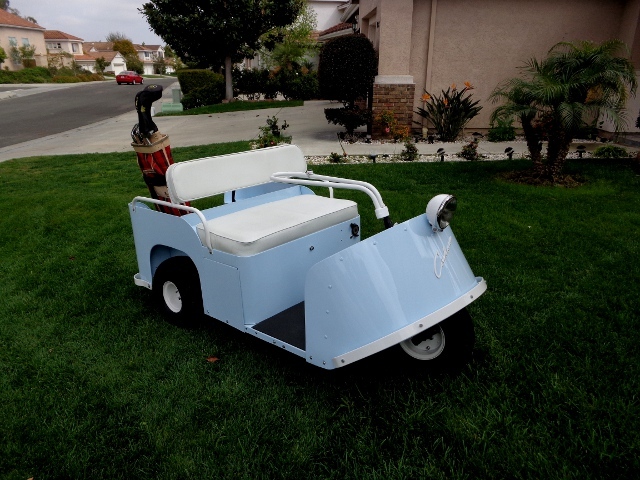 It was professionally restored by Del Reals Auto Body & Paint in Escondido, CA. 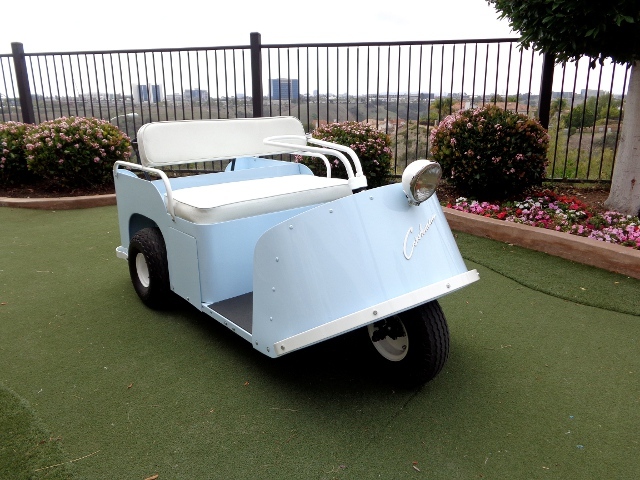 Both Ricardo and his father did an amazing job bringing this classic cart back to it’s once proud showroom condition. We can’t thank them enough.